Regional private lender RBL Bank, formerly known as Ratnakar Bank Ltd, filed its draft red herring prospectus (DRHP) with the capital market regulator Securities and Exchange Board of India (SEBI) to raise up to Rs 1,100 crore (about $173 million) through fresh issue of shares in its initial public offering (IPO). The proposed IPO also includes a large offer for sale portion which would lead to complete exit for one of its private equity investors Beacon India Private Equity Fund. The company that counts several PE firms as shareholders would also see Gaja Capital and Capvent sell shares as part of the offer-for-sale. Given the quantum of the offer-for-sale, the overall issue size is expected to go a few notches higher making it one of the biggest IPOs in the recent times. The parent of coffee chain Cafe Coffee Day also filed its documents for IPO on Friday where it is looking to raise around Rs 1,150 crore. RBL Bank's issue is estimated to be bigger than this. The lender said it is looking to raise up to Rs 500 crore (approximately $78 million) through a private placement of up to 25 million equity shares before the proposed IPO. In case the pre-IPO placement is completed, the size of the IPO will come down, accordingly, it said. 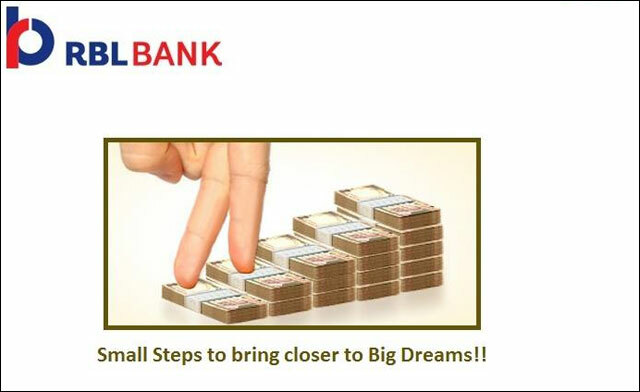 RBL Bank is the second private sector bank which has filed DRHP for the public issue. In April, another PE-backed lender Catholic Syrian Bank Ltd filed its draft prospectus to raise up to Rs 400 crore ($64.2 million) in its maiden public issue. * IPO comprises fresh issue of shares to raise up to Rs 1,100 crore in addition to an offer for sale of up to 17.5 million equity shares; Beacon India PE, GPE India, Gaja Capital, Capvent are among sellers. * Bankers: Kotak Mahindra Capital, Axis Capital, Citigroup, Morgan Stanley, HDFC Bank, ICICI Securities, IDFC Securities, IIFL Holdings and SBI Capital Markets. * It will use the proceeds from the IPO to augment tier-I capital base and to ensure compliance with Basel III and other RBI guidelines. * Founded in 1943, Ratnakar Bank offers specialised services under five business verticals—corporate & institutional banking, commercial banking, retail banking, agriculture & development banking and financial markets. * The bank was focusing on Maharashtra, Karnataka and Goa. In 2010, however, a new management team was brought in to pursue an expansion strategy. * As of March 31, 2015, the bank had 183 interconnected branches and 348 ATMs spread across 13 states and union territories. It has a customer base of 1.3 million. * In August 2013, it had acquired the business banking, credit cards and mortgage portfolios of Royal Bank of Scotland (RBS). For the financial year ended on March 31, 2015, it had total income Rs 2,356 crore with net profit of Rs 207 crore. During the fiscal, its deposits grew to Rs 17,099 crore and advances rose to Rs 14,449 crore. As on March 31, 2015, the bank capital adequacy ratio under Basel III stood at 13.13 per cent. Initially, RBL had raised Rs 720 crore in 2010 from a consortium of investors including HDFC Bank, Faering Capital, Norwest Venture Partners, Samara Capital, Beacon India Private Equity Fund, Cartica Capital and Gaja Capital Partners, among others. In February 2013, the bank raised $60.64 million from a group of investors, including Aditya Birla PE, IFC, IDFC Alternatives and Ascent Capital, among others, which valued it at around $511 million, according to VCCEdge, the data research platform of VCCircle. Last year, it further raised Rs 328 crore ($54.5 million) from a group of investors as part of a new round. Besides the above mentioned names, CDC and TVS Capital also happen to be its shareholders.